In 2019 Mark will be celebrating 20years of contributing music for the national instrument of Trinidad and Tobago, nineteen of those years for Panorama and one for Pan is Beautiful. This website features his music and performances over the years. His music was previously on Pan Jumbie by Monika Nicolleti-Tung, a Swiss pan enthusiast who decided to set up a dedicated page on Mark’s music over many years. Monika deserves special thanks, and recognition for featuring pan news around the world, for her contribution to keeping the global pan community informed through her website, Pan Jumbie. Mark was also the Musical Director of the first resident steelband in Perth, Western Australia, Perth Pandemix (see article) which started in early 2013 and continues today with a wide repertoire of music. 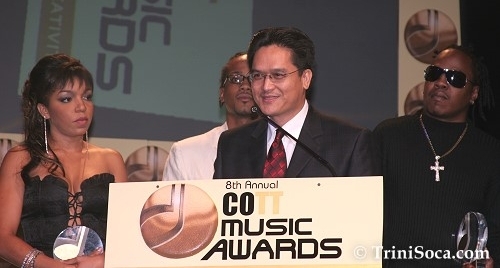 He has produced/co-produced works such as Passion for Pan Album (2000), and the pioneering products of Pan In Education (2004), and Pan in Education 2 (2011). Mark is also Honorary Founding Director of the Music Literacy Trust (ref. Guardian), a not-for-profit organisation established in 2004, which has assisted several young talented pannists in education with scholarships, preserved the music of cultural pan icons, and helped to introduce music education programmes for youth. Lead sheets for all my compositions for pan are posted under each song. The music is a gift to the pan community, done through love for the music and the instrument.